The Gawker Media rooftop is preparing for sensory overload: Gizmodo is hosting The Sensory Effect, a special NY Tech Meetup in partnership with Gawker Media, presented by Windows Internet Explorer, and it's unmissable. Tech-types will be here listening to a group of esteemed panelists discuss the latest in gesture/sound control (like Kinect for Windows) while consuming delicacies and drinks. And here's the best part: there's space for some Gizmodo readers to attend. If you live in the New York City area, email your contact info to sensory@gawker.com by 6 PM ET on June 15 and you will be entered to win a place on the guest list. 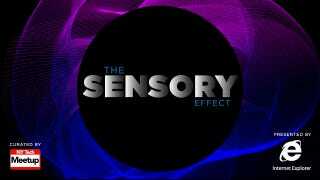 Don't worry—if you aren't one of the randomly-chosen winners, you can watch The Sensory Effect livestream in the brand-new HD Concept View right here on Gizmodo! Check back next week to find out who the panelists will be, and head here to download Windows Internet Explorer so you can see and hear the web at its most beautiful.